The title of this post is the nickname given to Savannah, Georgia. 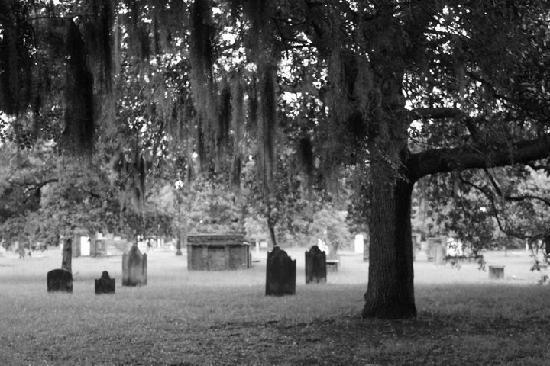 This southern city is called this because like many other locations their old burial grounds were paved over and built upon without moving the graves that lay beneath. This fact has led to reported ghostly sightings across Savannah. But many locals agree their city’s Historic District is the most haunted. In the middle of this district is the 6-acre Colonial Park Cemetery that dates back to 1750. Over 10,000 souls are buried here despite the fact there are only 1,000 headstones that remain. The reasons for this vary. Over 700 victims of the 1820s yellow fever epidemic are buried in mass graves at Colonial. This graveyard also has many family vaults were family members were placed. Their remains turned to dust and placed in urns so the next generation of deceased could be placed on the shelves—this cycle then continued. 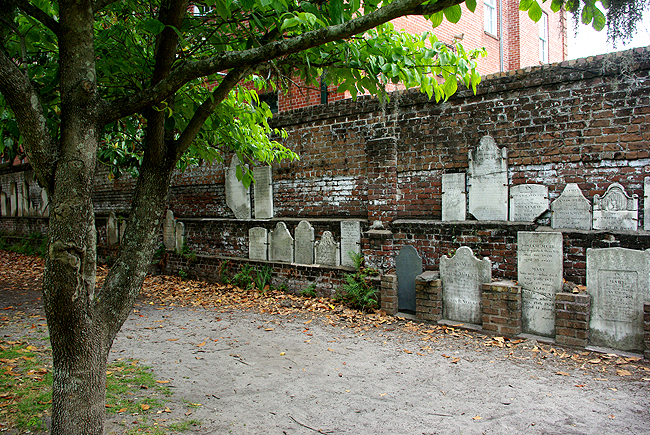 Many of Colonial’s gravestones were moved or disfigured by Union troops during the Civil War, which leads to more confusion of where the deceased are buried. But the most compelling factor is when the cemetery’s boundaries were shortened the surrounding streets, i.g. Abercorn and Oglethorpe, were paved over and many of the graves were left under them. One area of Colonial today is a children’s playground and basketball court. 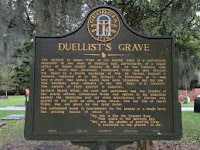 Sightings of ghosts believed to be deceased men who were killed in duels are reported here. 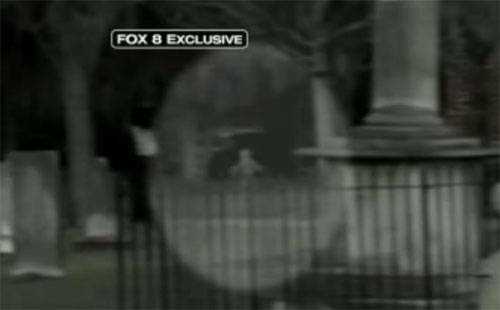 Other sightings in the cemetery include shadow figures and a green mist that floats among the gravestones. By far, the most famous haunting at this park is known as the “Hanging Tree” ghost. Locals and tourists are fascinated by this story, which has taken on epic proportions. A male ghost, known as Rene Rondolier, is often seen walking through Colonial or hanging from a tree called the “Hanging Tree” located at the back wall of the cemetery. It is said Rondolier is easy to spot because he is almost 7 feet in height. His ghost is infamous because it is believed he murdered two young girls in this graveyard. He then was lynched either on the Hanging Tree or in a nearby square. Footnote: There is little historic evidence that Rondolier ever existed but this story through several generations has taken on folkloric status. Despite this fact there have been so many witnesses to this haunting as well as others that paranormal investigators in the area have dubbed Colonial Park “Paranormal Central” and of course ghost tours are offered. When my mother was a teenager she lived in a haunted house. What is unusual about this is she never talked about it. She did tell me a story about an encounter with a ghost but it didn’t occur in her home. A few houses down her street lived a family with two daughters. The younger of the two girls went to bed complaining of a terrible headache. The family discovered this little girl dead the next morning. It was determined she had died of an aneurysm. Overwhelmed with grief this family left town for a while after the funeral. They asked my uncle to take care of their pets. My mother and father were dating at the time and they asked to go along. My mother really wanted to play the family’s grand piano and my father was studying to be a veterinarian. 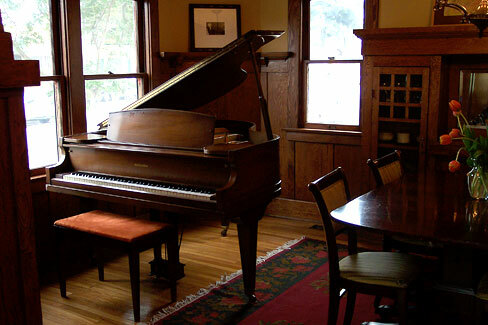 As the trio entered the house the two men went to the basement to feed the pets, my mother headed straight for the piano. As she played she felt something brush her ankles. She continued to play thinking one of the cats must have escaped. A few moments later she felt the soft brushes again. She looked under the piano but saw nothing. As she started to play again she felt two small hands grab each leg tightly. She got and ran to the basement door. The two men responded quickly to her panicked call. When they arrived at the top of the stairs she explained what had happened. Her uncle turned white. He told her a story the neighbor had told him at the funeral. The deceased daughter always played a game with her father as he played the piano. She would crawl under the piano and grab his ankles and then push his feet up and down on the pedals. This old prison still stands in West Virginia. It operated for 119 years. 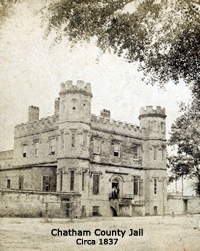 During the years it was run it was considered one of America’s most violent correctional facilities. Close to 1,000 men that entered its doors died while incarcerated. 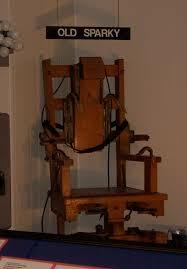 Some died by hanging or later by electric chair. Others were murdered by fellow inmates or took their own lives. 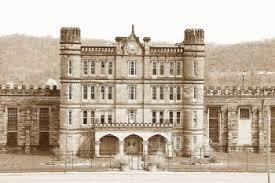 Moundsville was notorious for violent riots that were caused most often by overcrowding. 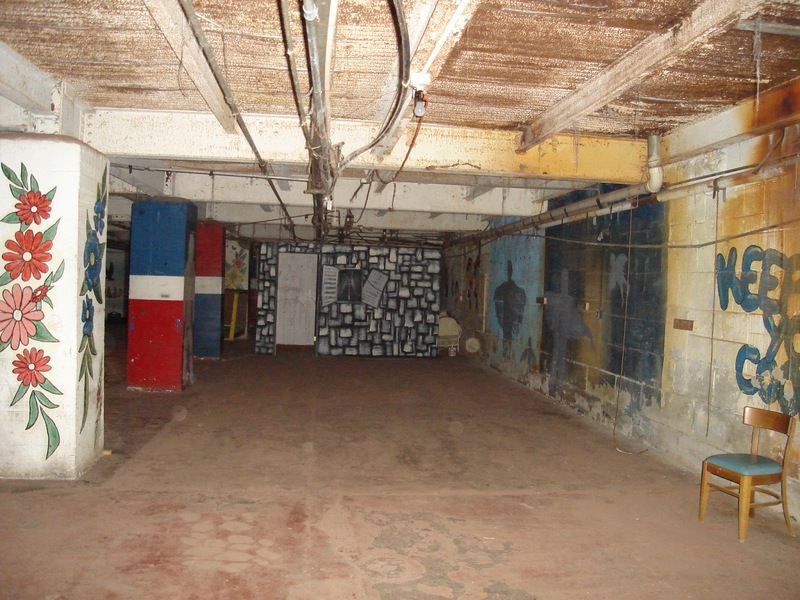 In the 1950s the prison was filled beyond capacity—each 5X7 foot cell housed three prisoners. This was later deemed inhumane. Moundsville was closed down in 1995-- tours are offered today. 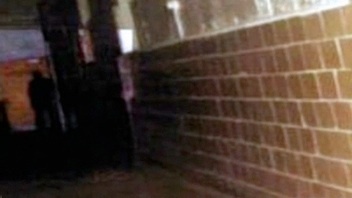 Staff and visitors have reported seeing shadows and hearing strange noises in the old prison. 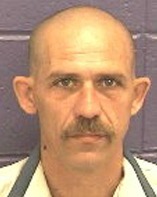 One of the first sightings was of one inmate who was brutally murdered by fellow prisoners. The room he haunts is the reception area of the prison. It was dubbed, “The Sugar Shack” by the inmates because of the fights, rapes, and murders that often occurred in this room. 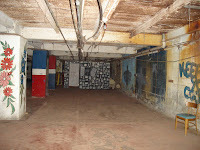 The murdered inmate, R. D. Wall met his fate here. He was cut and stabbed to the point that his body was found later in many pieces. His ghost is spotted lurking in the dark corners in the Sugar Shack. Other restless spirits have also been seen in other parts of this prison. Some speculate these are the men who were executed. To add to this activity is the fact that the town of Moundsville, West Virginia is named after many Native American –Adena-- burial mounds located in the area. It is said these spirits have been seen by many. With all this mysterious activity would you dare to take one of the night tours offered at Moundsville? 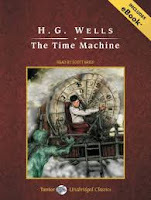 Experts of Wells stories feel this newly discovered manuscript written by Wells in the mid 1890s does not reflect his best work but I have read it and found it fun and surprising. The Haunted Ceiling is similar to another ghost story Wells published around the same time—“The Red Room”. In this story a skeptic—a scientist-- spends a terrifying night in a castle room trying to debunk claims it is haunted. This inn was originally called the “Wolf Creek Tavern” when it opened in the 1880s. 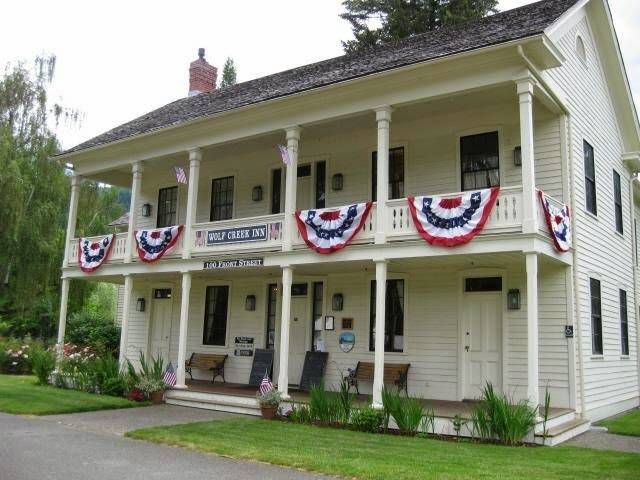 It is the oldest continuously operated inn in the Pacific Northwest. In its heyday, it serviced weary travelers that made the 16-day journey north from San Francisco to Portland, Oregon. Jack London is said to have finished his story Valley of the Moon while staying at Wolf Creek in the summer of 1911. 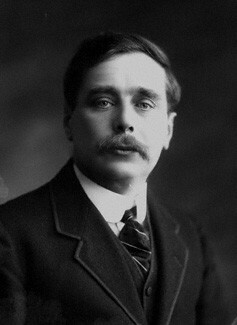 He is one of the spirits that have been seen and heard in the inn since his death in 1916. 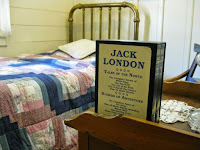 The inn today has a variety of spirits that still make appearances. 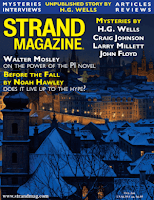 One favorite ghost story is about a stagecoach driver named, One-Eyed Charlie Parkhurst. 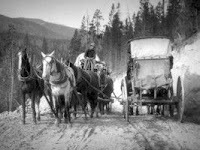 During the Gold Rush years Charlie was known to be one of the toughest drivers along the northern route. Charlie had a reputation for never missing a day’s work—except the day after payday when he was too hung over to drive. In 1868, Charlie registered to vote, he told friends so he could vote for Ulysses S. Grant. When Charlie Parkhurst died at the age of 67, the mortician that tended his body was in for a shock. Charlie was actually “Charlotte” an orphan girl who escaped her life by hiding as a man. When Charlie voted in the 1868 presidential election some believe she was the first woman in the U.S to cast a vote. For years, people who have visited Wolf Creek claim to have seen the ghost of a rough dressed man on the main floor at the inn. This ghost’s voice has been picked up on EVPs. Many believe this is One-Eyed Charlie. But the facts point to another conclusion. Charlie died four years before the Wolf Creek Tavern opened. 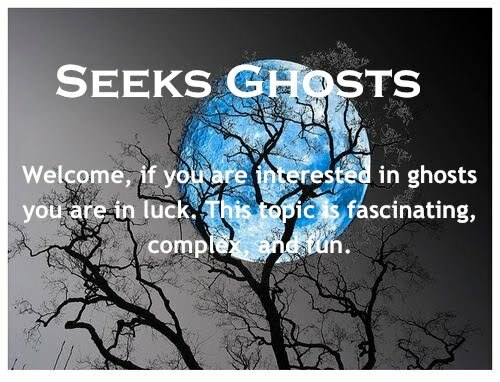 So it is unlikely her ghost is the one seen. But this story was too good to pass up. 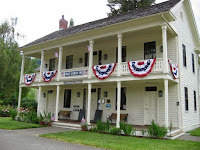 This inn is owned by the state of Oregon and is on the National Register of Historic Places.